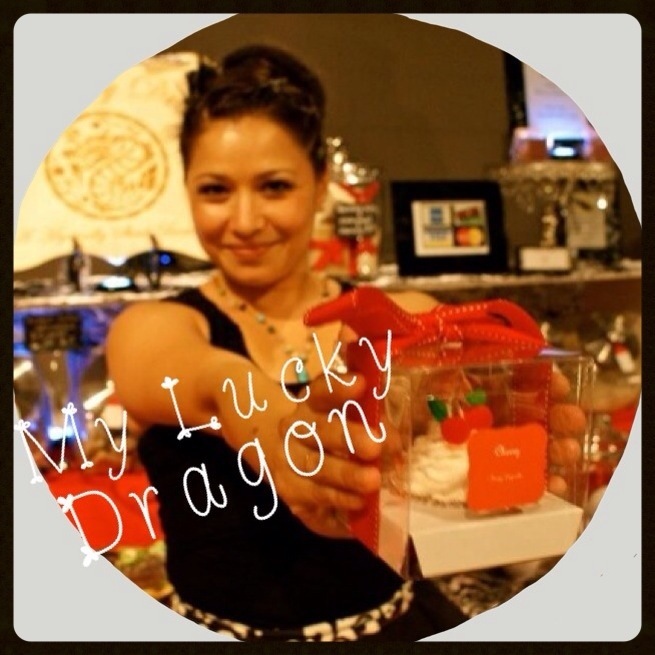 If you are ever looking for a fun way to unwind at the end of a rough day, then you are going to adore meeting today’s featured San Diego Indie Craft Market vendor, My Lucky Dragon! Tell us a little about yourself! Hi! My name is Christy Nieto and I own My Lucky Dragon. I’ve been making bath and body treats for 2 years. I’m a bath-a-holic! Since I was a little girl I took hour-long baths having fun with sweet smelling bubbles and bath toys. Now that I’m an adult, I still take one-hour baths but now I’m also a sweet toothed bath-a-holic. So naturally I combined the two. I make fun dessert inspired soaps and natural skin care. What inspires you to create? I love using organic and raw ingredients. I’m inspired by sweet treats and beauty. I needed something to do while my husband was out to sea and training for a year and a half. so I decided to put my aromatherapy certification to good use and make bath and body treats. What are your favorite products to create? My soap cupcakes, bath bombs, sugar cube scrubbies, and natural skin care products. And seeing as I am China-obsessed, I have to ask where your shop name came from. I was born in the year of the Dragon, and in the Asian culture that’s a very BIG deal! They believe it’s the luckiest sign in the Chinese Zodiac. My mom always loved to brag about that so, in her honor, the name was born! Be sure to follow Christy on Facebook at: www.facebook.com/myluckydragon and check out her shop on Etsy (http://www.etsy.com/shop/myluckydragon)! Don’t her handmade bath goodies look yummy enough to eat?! And don’t forget to look for her booth at the San Diego Indie Craft Market on June 23rd! More SDICM info here: https://www.facebook.com/SDIndieCraftMarket?fref=ts. I’m sure that she’d love to meet you!